Mikołaj Hertel is a graduate of the University of Music in Warsaw (Prof. Regina Smendzianka’s piano class). He has written music for film (“The Tale of Tristan and Isolde”) and theatre (Albert Camus’ “The Plague” at Teatr Adekwatny). In the 1980s he became well-known as a composer of electronic music (albums: “Sounds of the Sea”, “Romance”, “Rhapsody”). In the mid-1990s he returned to classical instrumentation. He wrote two piano concertos, a marimba concerto “Sant Rose”, and three concertos for harp and orchestra: “Primavera”, “Verona” and “Athos Concerto”, which premiered at the Lublin Philharmonic in 2008. Maciej Małecki (born in 1940), composer, pianist. He studied at the State Higher School of Music in Warsaw – composition with Kazimierz Sikorski and piano with Natalia Hornowska. He completed his education at the Eastman School of Music in Rochester, USA. After his studies, he played in a piano duet with Jerzy Derfel for several years. During the 1970s he composed mainly for theatre, radio, television and film. Over the next decade, he expanded his creative domain to include concert music. In 1993 he was named President of the Polish Composers’ Union, a position he held for three terms. Author of many solo and chamber music compositions (including five string quartets), orchestral compositions (including two symphonies), pieces for solo instruments with orchestra (including two concertos), pieces for woodwind orchestra, cantos, choirs and stage (an opera, two ballets, two musicals, radio and stage works), as well as theatre and film music, songs, children’s songs and several studies. Winner of awards and distinctions. In 2013, he was honoured with the Knight’s Cross of the Order of Polonia Restituta. I wrote “Small Bolero” for the Łódź Celtic Harp Contest in 2011. It was first performed by Marcelina Dąbek and is dedicated to her. The work contains no dynamic markings in order to inspire the student to be creative. Feliks Nowowiejski (1877-1946) – The two dances “Mazurek” and “Krakowiak” from the album “Polish Dances” are borne by opus 1 no. 6 and no. 7, because the composer joined them to previously composed dances for the piano. I found the manuscripts of these works in the collections of the Raczyński Library in Poznań. Piotr Moss, born in 1949 in Bydgoszcz. After completing his composition studies at the State Higher School of Music in Warsaw in the class of Piotr Perkowski (also working under the direction of Grażyna Bacewicz and Krzysztof Penderecki), he went to France, where he perfected his compositional skills under the direction of Nadia Boulanger. In 1981 he settled in Paris, taking French citizenship in 1984. His work, which has been awarded many times in Polish and foreign composition competitions, is extremely rich and diverse. Alongside grand vocal-instrumental works, concertos and chamber pieces, his catalogue contains music for radio, theatre, film and television. 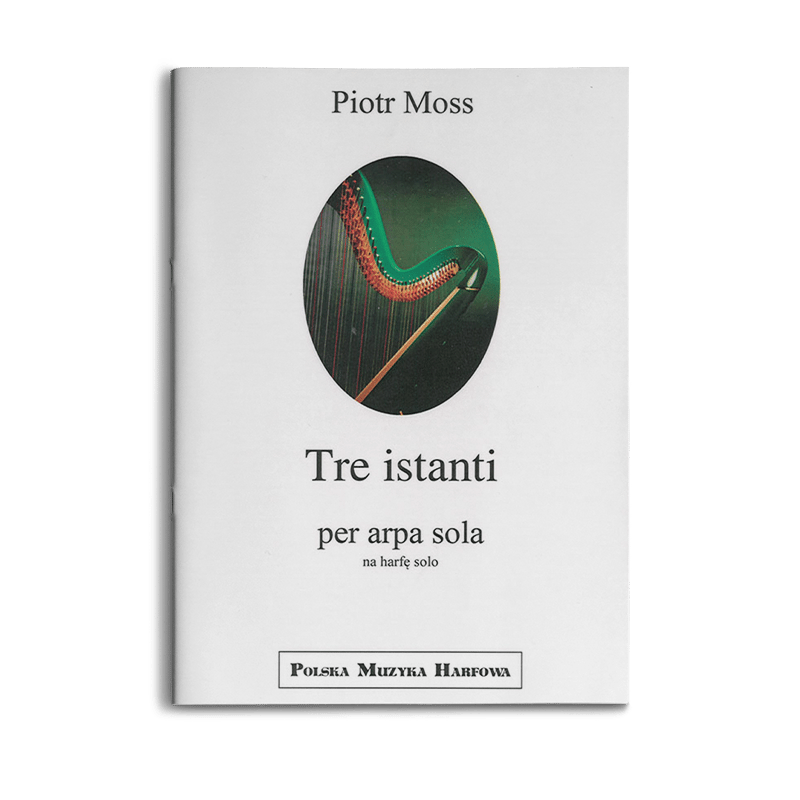 Piotr Moss has won numerous composition competitions and his works have been performed in many concert halls around the world. In 2000, he was appointed by the French Minister of Culture as a Knight of the Order of Literature and Art (Chevalier dans l’ordre des Arts et des Lettres). In 2007 he received the French Académie des Beaux Arts Award, and in 2009, to celebrate his 60th birthday and the 40th anniversary of his artistic work, he received a special award from the Minister of Culture and National Heritage. He has also been awarded with the medal “Zasłużony dla Kultury Polskiej” (“Merit to Polish Culture”). The composer has also received two prestigious radio awards: the Grand Prix at the “Dwa Teatry” (“Two Theatres”) festival for the music to “Hamlet” and an honorary “Wielki Splendor” (“Great Splendour”) for lifetime achievement for the Polish Radio Theatre. The album “Chagall for Strings”, recorded by Jadwiga Rappe and the Opium quartet, received the “Fryderyk” award in 2014 for best contemporary music album. I wrote “Waltz for Emilka” for a student who had broken her right hand and could not prepare for a harp competition in Cieszyn. Fortunately for us, in addition to the harp duet competition, they also have a premiere competition there. So, I wrote a song for the left hand so that Emilka could go with us to Cieszyn. A piece like that for the left hand is useful in any case. All the more so because I enriched it with a percussion part that can be played by another child or a parent, or by the harpist herself if she attaches bells to her legs. This technique may be useful in the future – these kinds of performances are already happening in contemporary music. I would also encourage people to play this song with two hands by inventing the right-hand part themselves. The same applies to the dynamics, which can be changed under the watchful eye of a teacher. I dedicate this piece to Emilka Kabaj.